So you decided to create your own font — exactly the font that your company or client needs. You prepared sketches, worked on the shape of the characters, converted the image into curves and, possibly, transferred the outlines to a font editor (or maybe you worked in a font editor from the start). What's next? If you are asking yourself this question — save your time and contact us. Together we will make the further process of preparing a workable font fast and simple. In order to make our probable communication more convenient for you, we are ready to accept any source data: different font formats (otf, ttf, pfb, …), font editor formats (vfb, vfc, ufo, glyphs, …), contours in curves (Ai, eps, …) or just pictures. First we will check the design and the main character set, the quality and correctness of the outlines, the thickness of similar strokes and more. We use complex proprietary software to optimize the process. 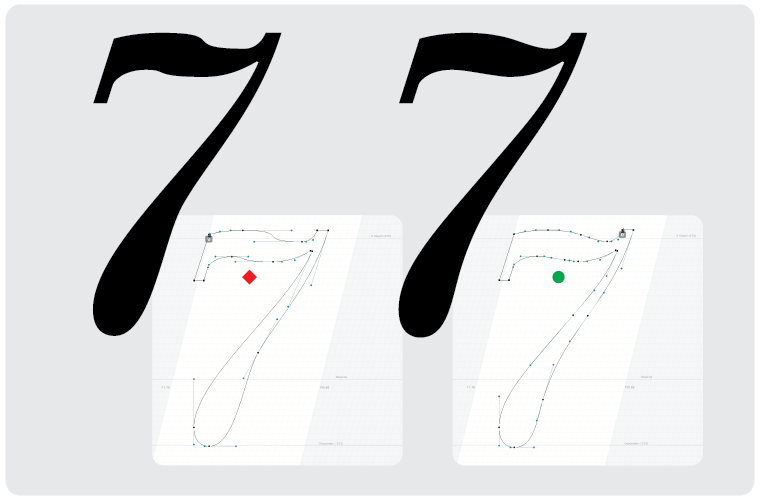 We test and refine side bearings of characters and kerning (if necessary). The new font may contain a limited or extended character set, depending on the task. 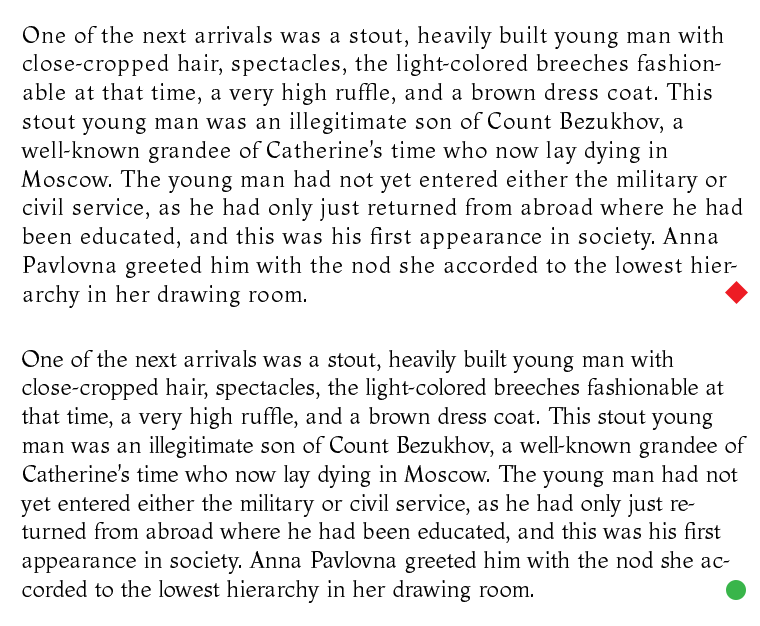 The most popular type of character set for a new font supports the MS 1251 code page (Cyrillic). 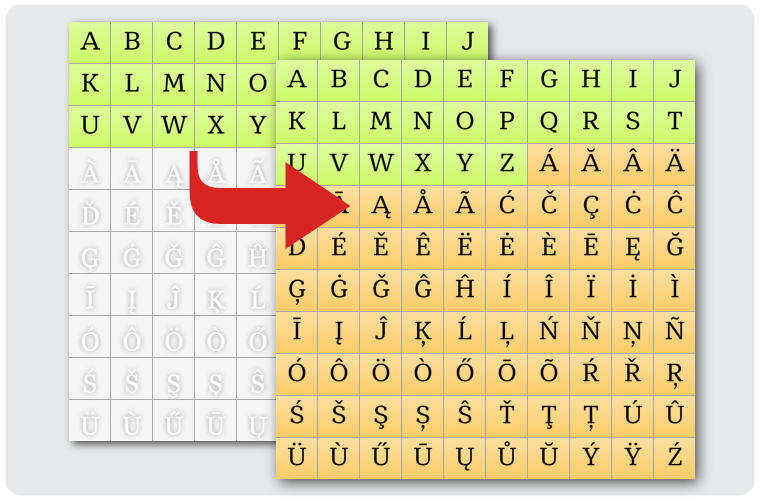 Our print fonts, as a rule, correspond to the internal standard PT WGL (Western, Cyrillic, Central European, Baltic, Turkish and some additional characters). If necessary, we can expand your font with support for Asian Cyrillic, Greek, Armenian, Georgian, create a phonetic set of characters, add a variety of other forms that are included or not included in Unicode. We can also add variants of numbers and currencies (proportional or monospaced), caps, indices, numerators, various dashes and spaces. Or maybe your work demands just one alphabet font capital letters only? Anyway, all these steps — checking the set, filling the font’s cashbox with characters and composites, analyzing them — are automated and will not take much time. Increasing amount of applications and browsers support additional font features of two groups: substitutional and positional. 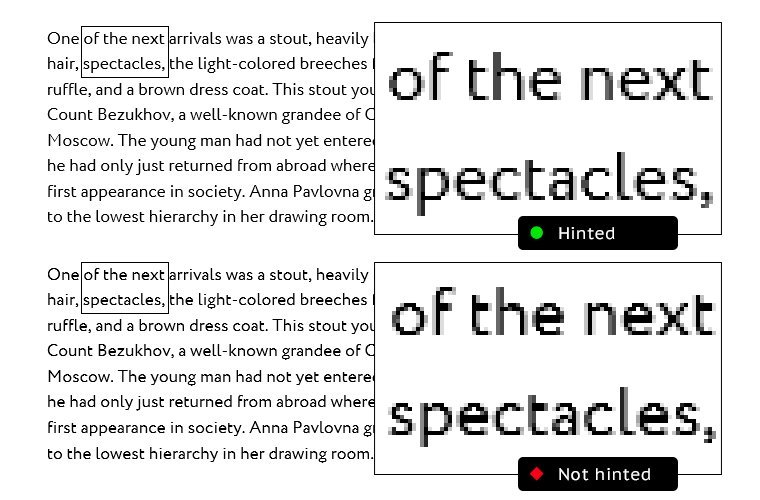 Opentype features section provides more information on the topic. Here, we’ll only note that font mastering includes realization of all its possible properties: stylistic and contextual alternatives, substitutions, kerning and other. Perhaps you consider more than one style in your font, and you want them to correspond stylistically but to differ by the saturation, proportions or slope. For example a family of four types (Regular, Italic, Bold, Bold Italic) is often used for office work, then there are fonts for design projects that often intend much more styles. In each case we will help to determine the needs and prepare the necessary stylistic sets. Hinting is an approach to the problem of rasterizing scalable (vector) fonts. Basically it’s applying special «instructions» to the contours of characters that improve the display of the font in small sizes or with insufficient screen resolution. Hinting is also a solution when it comes to working in office applications and using the font on web pages. Paratype offers a professional level of manual hinting, taking into account the features of rasterization in various environments. We can determine the complexity of hinting you need and prepare a font so that your users won’t suffer from distortion of letters and can always read your text without straining their eyes. A good hinting is a guarantee that the font is comfortably perceived in any conditions. In the practice of ParaType there are several levels of hinting complexity that allow you to prepare and build a font, taking into account the features of smoothing outlines in modern browsers and operating systems. Hinting section provides more information on the topic. After completing all the above, we will generate the font in the required formats (OTF, TTF, Web), test it and, if necessary, provide additional consulting services for installing and using the font.